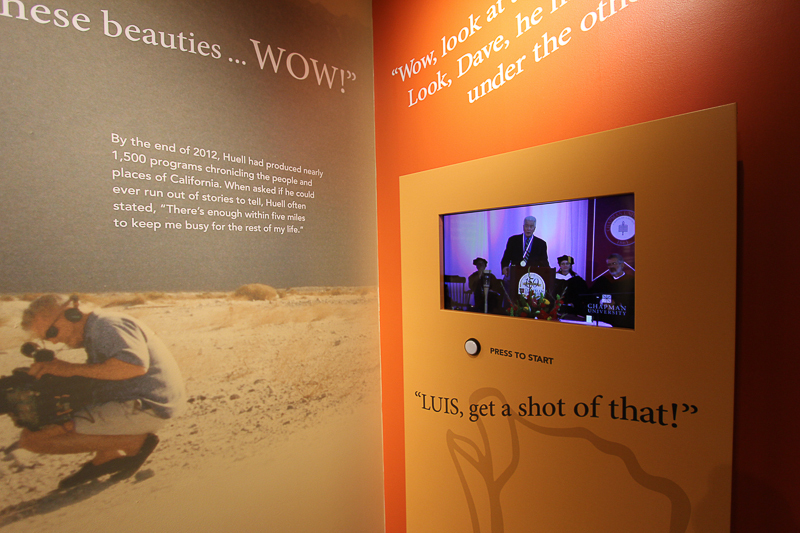 Huell donated his videotaped collection of California's Gold episodes, as well as those of his other series, to Chapman University in 2011. 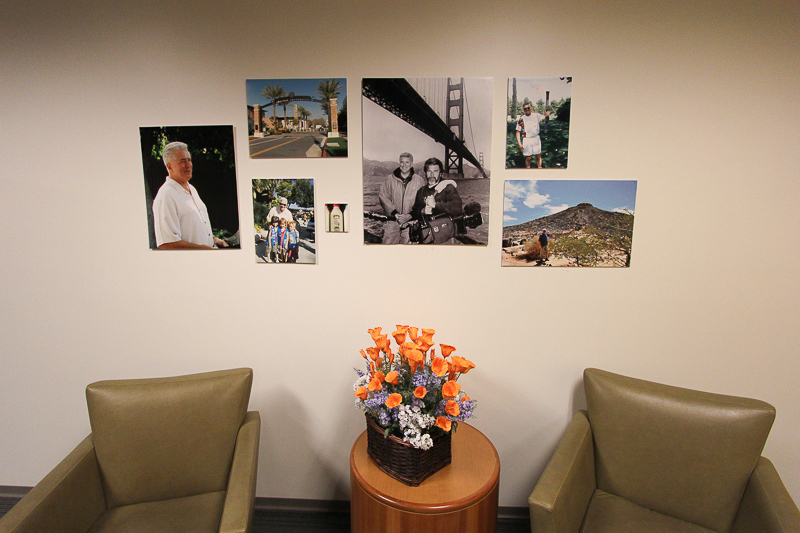 He also donated his personal papers, and a large collection of books on California history to the university. 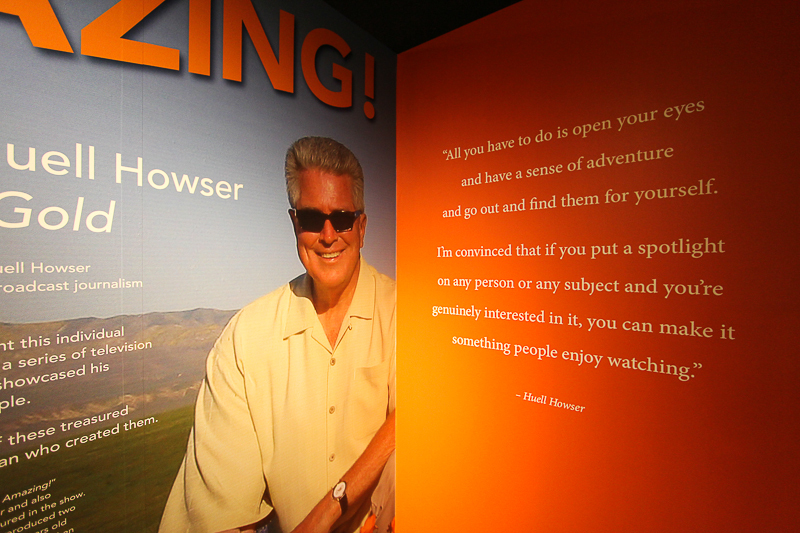 The school established the Huell Howser Archive, which offers the public free access to the entire digitized collection of his life's work. 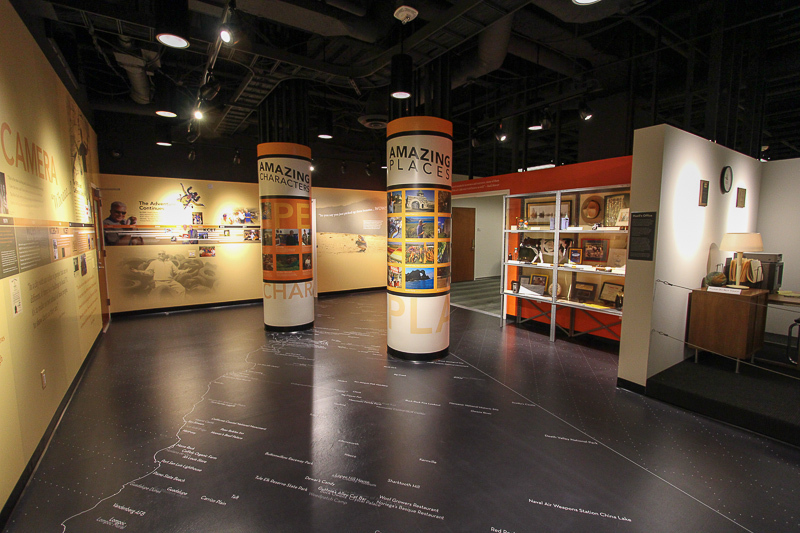 The archive can be accessed at Chapman University as well as on the Internet. He also gave his extensive art collection, which consists mostly of 'found-object' art collected during his travels, to the university, and endowed the California's Gold Scholarship Fund. Upon his death he bequeathed his remaining two homes to the university, the proceeds from the sale of which will be added to the scholarship fund. 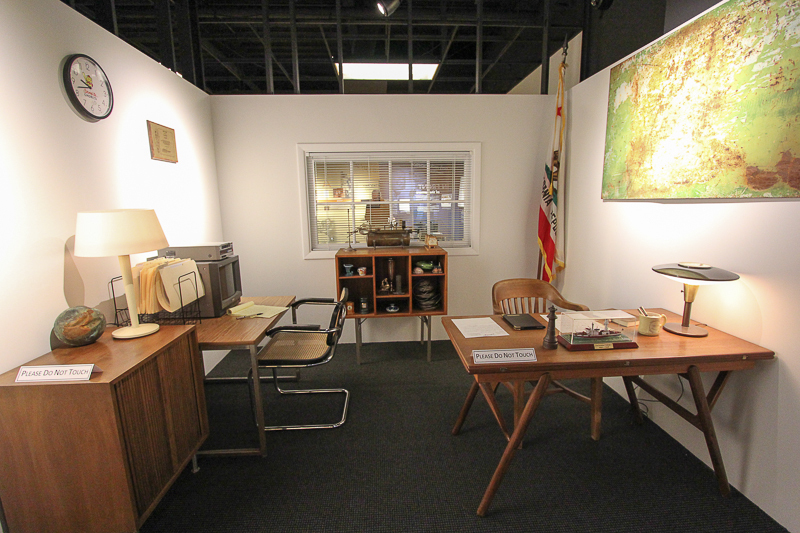 These are some of the mementos given to Huell from the people who he chronicled. The "candies" shown in the upper right were created by the "Lint Lady." The elephant stick below the Fosselman's cow is from Charlie Franks, an 80-year-old elephant trainer, who trained Nita, an elephant he had raised from a baby of five years. 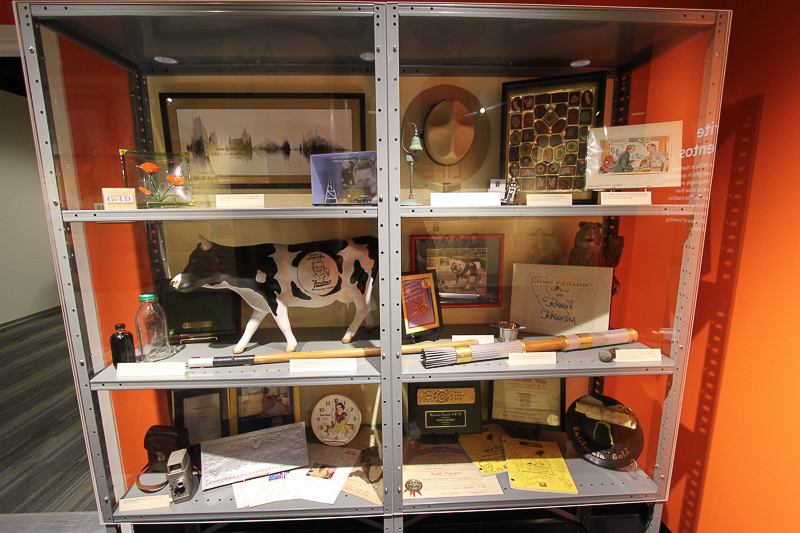 To the right of the elephant stick is the Olympic torch that Huell carried for the 1984 Los Angeles Olympics. 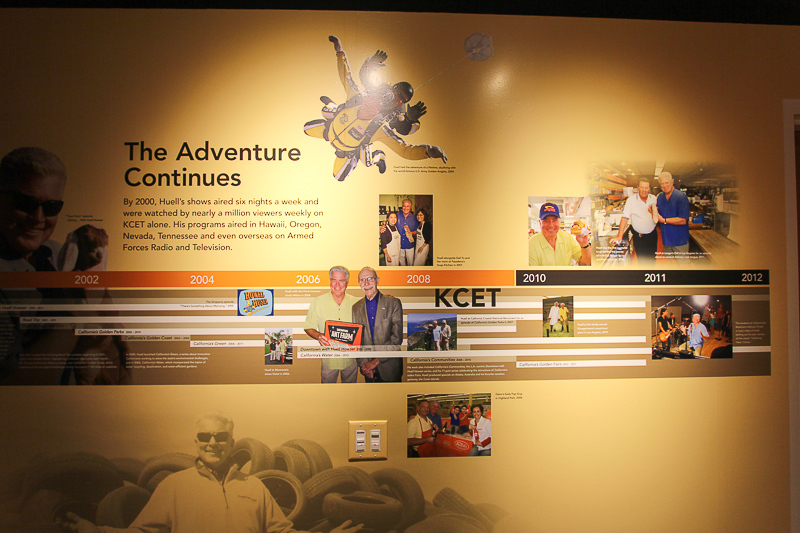 He loved California and his enthusiasm was infectious. Judy and I started taking our adventures based on some of Huell's shows. At one point in his career, between all of the various series that he produced, his shows were garnering over one million viewers each week. 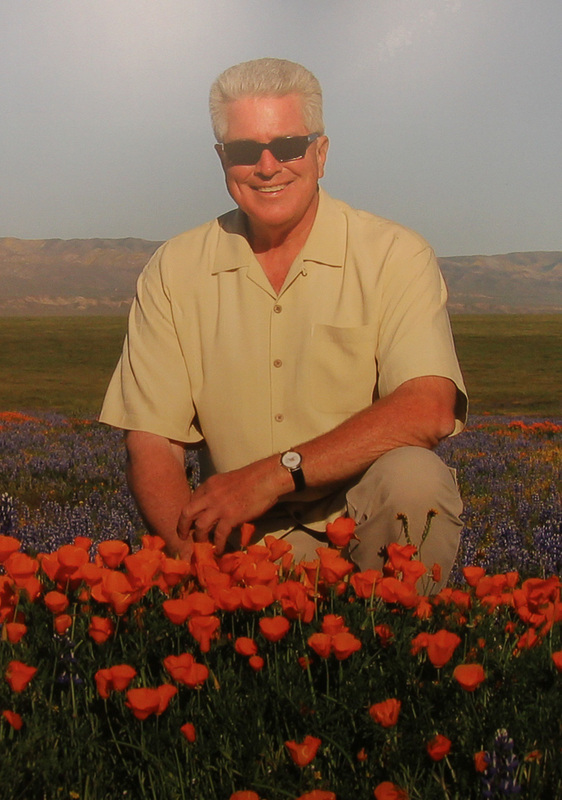 Huell was California's Gold.